Sir David Haslam is past-President and past Chairman of Council of the Royal College of General Practitioners, past-President of the British Medical Association, a former vice-chairman of the Academy of Medical Royal Colleges, visiting Professor in Primary Health Care at de Montfort University, Leicester, and Professor of General Practice at the University of Nicosia, Cyprus. He was a GP in Ramsey, Cambridgeshire, for many years and has been an expert member of the NHS National Quality Board, chair of the NQB Quality Information Committee, and National Clinical Adviser to both the Care Quality Commission and the Healthcare Commission. He’s written 13 books, mainly on health topics for the lay public and translated into 13 languages, and well over a thousand articles for the medical and lay press. In 2014 he was named by Debretts and the Sunday Times as one of the 500 most influential and inspirational people in the United Kingdom. He was awarded a CBE in 2004 for services to medicine and health care, and has been awarded honorary doctorates by the University of Birmingham and the University of East Anglia. In 2018 he was knighted for his services to NHS Leadership. Tim has worked in the life sciences industry for thirty years. His career has spanned global health technology companies across Europe and North America, including GSK, GE and Philips. Between 2007 and 2015 he served on ten Boards, five as Chair, where he successfully executed two trade sales and raised significant equity financing, including an IPO. Tim’s current governance portfolio covers Life Sciences, Healthcare and Education, both public and private, including board roles as Non-Executive Director at NICE, various European MedTech Supervisory Board roles, and Professor of Practice at King’s College London’s School of Management and Business. In his role as Vice Chair, Tim oversees the technology appraisals and highly specialised technologies appeals process. Professor Sheena Asthana is Professor of Health Policy at the University of Plymouth. Her research and teaching focus is on inequalities in health and health care, international public health and evidence-based public health. She has worked with NICE to produce systematic reviews, evidence synthesis and economic analyses to inform our public health programme. Sheena brings experience of a wide variety of board appointments. Rima is Chair of our audit and risk committee and is our senior independent director. Professor Angela Coulter is a health policy analyst and researcher, with special interests in patient and public involvement. Her previous roles include Chief Executive of Picker Institute Europe, Director of Policy and Development at the King’s Fund, Director of the Health Services Research Unit at the University of Oxford and Director of Global Initiatives at the Informed Medical Decisions Foundation. Angela has published more than 300 research papers and reports. She is the author of several books including The European Patient of the Future, winner of the 2004 Baxter Award. Her work has received awards from the Donabedian Foundation of Barcelona in 2012 and the International Shared Decision Making Conference in 2013. 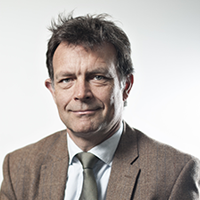 Professor Martin Cowie is Professor of Cardiology at Imperial College and an Honorary Consultant Cardiologist at the Royal Brompton and Harefield NHS Foundation Trust. 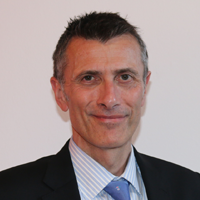 Since 2003 he has been a clinical advisor for NICE on our acute and chronic heart failure guidelines, quality standards, commissioning guides, patient decision aids, and technology appraisals. In 2012 he became a NICE Specialty Advisor for cardiovascular interventions. His major clinical and research interests are in health technology assessment and the delivery of efficient and effective care for patients with heart failure, focusing on new technologies: diagnostics, drugs or devices. Elaine Inglesby-Burke has been a registered nurse since 1980. Her previous roles include being a nurse specialist manager at St Helens and Knowsley Hospital Trust and Director of Nursing at The Walton Centre in Liverpool. Most recently, Elaine was appointed Deputy Chief Executive at Salford Royal NHS Foundation Trust. She is also on the governing body at St Helens Clinical Commissioning Group and Willowbrook Hospice in St Helens. Elaine has also played a significant role in national health campaigns, having been a member of the Prime Minister’s Nursing and Care Quality Forum. She was also involved with the Berwick National Advisory Group on the Safety of Patients in England, which is a group of healthcare experts that was set up to examine patient safety issues in the NHS. Last year, Elaine was awarded a CBE on the Queen’s Birthday Honours List for her services to nursing. Dr Rima Makarem has been Audit Chair in several NHS organisations, recently at NHS London and now at University College London Hospital. She is also the Chair for the National Travel Health Network and Centre (NaTHNaC), an Independent Council Member at St George’s University of London and a Board Trustee at Anchor Trust, a leading national provider of care homes and sheltered accommodation. Rima has previously worked in the pharmaceutical industry in a number of roles including Director of Competitive Excellence at GlaxoSmithKline. Tom Wright CBE is Chief Executive of Guide Dogs for the blind. He is also a trustee of the Leeds Castle Foundation and the charity Doteveryone, championing responsible technology for a fairer future. He was previously CEO of Age UK and Age International, dedicated to helping everyone make the most of later life. As well as this he was Chair of the Richmond Group of 14 leading health charities working together as a collective voice to better influence health and social care for the 15 million people living with long term conditions. Tom has extensive experience in the health and social care sector with a particular expertise in ageing and age related research. This includes being a founder member of the Global Council on Brain Health and developing integrated health and social care pathways. Ben Bennett joined NICE in 2003. As director of business planning and resources, Ben is responsible for the Institute's business planning process and corporate services including finance, human resources, information technology, estates and facilities. Alexia Tonnel is director of Evidence Resources. She is responsible for the delivery of the NHS Evidence and UK PharmaScan services and leads the information management and technology, user research and information services resources of NICE.